Installation in progress of 5 passenger lifts and 2 food lifts for Air Defence Ship P71 project IN Vikrant for Indian navy. 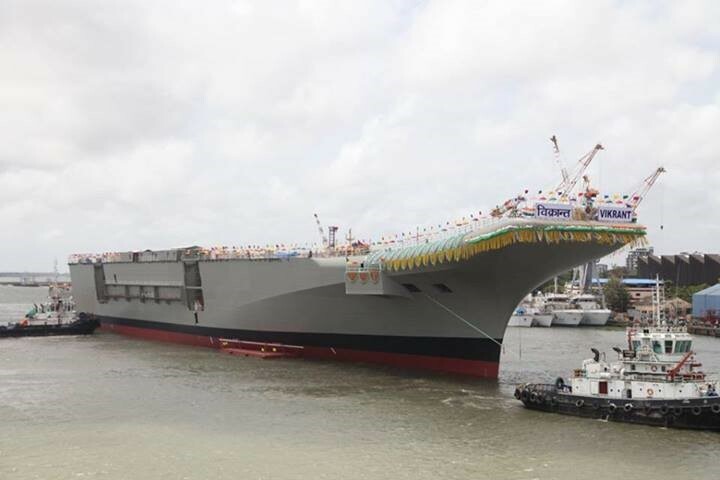 The ADS P71 project is the first of a number of aircraft carriers, completely designed en developed in India and intended for use of their own navy. companies, to transfer the design to useful lifts. Wittur BV: Main engineering, control panels, cabling, push buttons, safety gears, speed governors, guide rails, gears. Interlift BV: Detailed engineering, lift cars, car frames, gear frames, emergency ladders, guide rails brackets, additional door frames. Goodlift NL Consultancy now certificated according the new standard ISO 9001:2015. On June 28th , 2018 we were audited by Bureau Veritas with good result. Subject of the examination was system documentation, laws, rules and regulations, entry to information, availability and entry to projects and processes, the availability of internal audits and management review, understanding of the standard ISO 9001:2015 in relation to Key Performance Indicators (KTI’s), targets en principal of the management system. Under phase 3 of the Sea 1654 programme the Australian government planned to build 2 new supply vessels, Auxiliary Oiler replenishment vessel / AOR, as extension for their support capacity for the Royal Australian Navy (RAN). 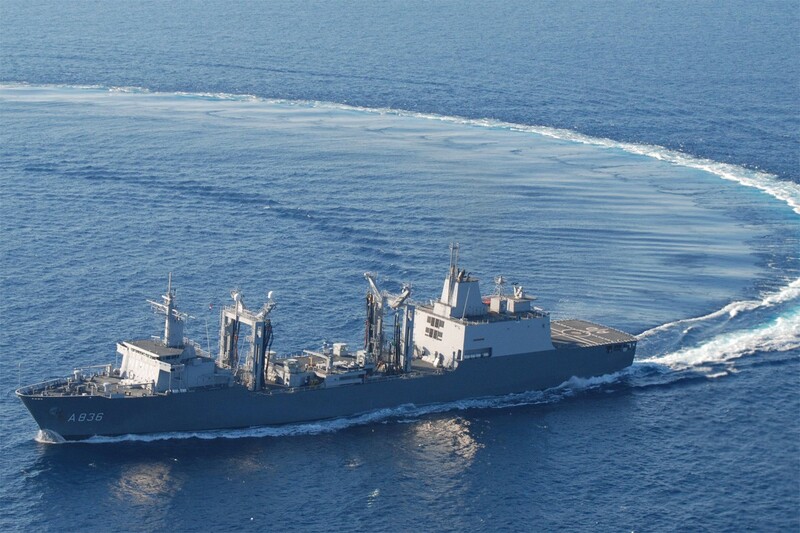 Purpose of phase 3 of the SEA 1654 project is replacement of the present supply vessels HM Success and HM Sirius. The purpose of the supply vessels is to supply dry cargo, water, food, ammunition and spare parts to bring that to civil or military vessels on open sea, far away from any harbour, so that they are able to stay longer at sea. In addition the vessels are also usable to fight against pollution of the sea, logistic support of troops or support by humanitarian disasters. Both new vessels will be built by the Spanish navy yard Navantia. The design is based to a Dutch / Spanish design developed in the nineties of the previous century. The result of that cooperation were 2 vessels, SPS Patiňo en HM Amsterdam, both taken into service in 1995. The HM Amsterdam was sold to Peru in 2014 and is currently sailing under the name BAP Tacna. In December 2016 Goodlift NL Consultancy received the purchase order from Trinoxx BV, working for Navantia Shipyard, Ferrol Spain, for the design, delivery of lifts for the above mentioned project according to the demands of the Australian navy. Mid 2017 our design of the lifts were approved after several visits to the yard and negotiations with representatives of the yard and Australian navy. For each vessel the following lifts will be supplied. Wittur BV: Delivery of control cabinets, cables, push buttons, safety gears, speed governors and guide rails. Interlift BV: Delivery of cars, car frames, machinery frames, emergency ladders, brackets and logistic support. Technisch Bureau Schilling: Design, detailed engineering and overall project leader. MAK Aandrijvingen BV: Gears, chain technology. Goodlift NL Consultancy: Design, planning, general coordination. NewThex Nederland BV: Delivery of hydraulic hatches and doors.